Has already prepared some Halloween activities and want to more people to join in? For such a special holiday, you should make the Halloween invitation cards a little special. Get some creative Halloween card ideas from this template design. This Halloween card template with some scary images is a perfect invitation sample. You can edit the text, add more Halloween images and adjust to make it a balance. 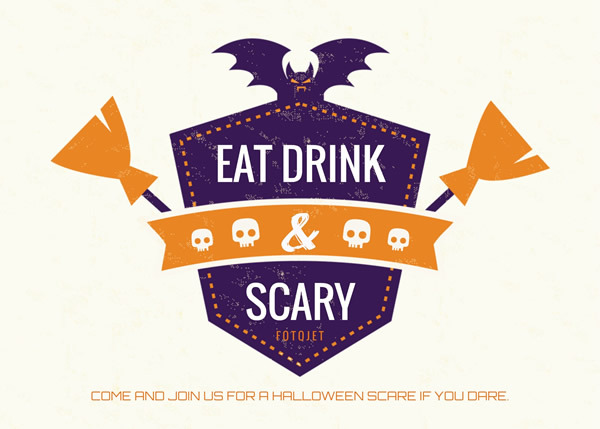 After finishing the design, just send the Halloween cards out to invite people for eat, drink and scary activities.